I noticed that when I export my Stack Overflow careers resume as PDF, I cannot see the URLs of the companies I worked for. All of the companies I worked at are small local companies unknown outside my country. I think if I send it to a recruiter abroad, he/she will not bother looking into the companies I worked at, he/she might think I'm bluffing and dismiss the resume. It would be nice to display the company's URL in the PDF version of the resume, just to make it easier for the recruiter to check the company out. Not the answer you're looking for? 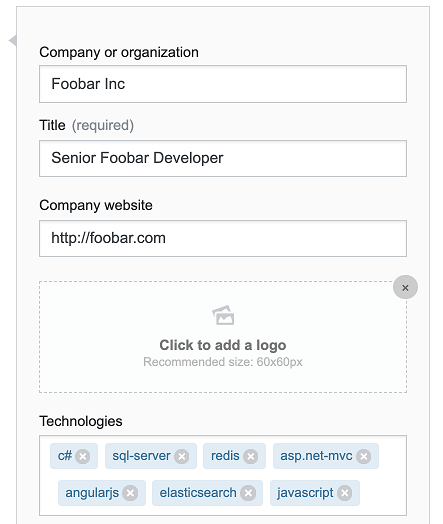 Browse other questions tagged feature-request status-completed jobs developer-story cv-export . What if I'm NOT Rear Admiral Grace Hopper, but a regular developer? What does Developer story do for me? What can be done about job posters seeking to get free development work?